Higher ABV. Unique flavor profiles. An expanded beer line-up. The possibility of cross-marketing with local distillers or high-profile wine makers. There are a lot of great reasons breweries are excited about launching barrel-aging programs—and it’s true that barrel-aged beers may provide great business opportunities. But they may also provide additional risk exposure from a number of angles, including a brewery’s vehicles and other commercial property, spoilage and contamination, and even worker safety. “Creative brewing can be great for a brewery’s bottom line—but a problem when it comes to risk management,” points out Richard Beall, principal of Beall Brewery Insurance. You may feel inspired to start a barrel-aging program because barrels suddenly become available to you—or it looks like a barrel supply may be going away. Or maybe you’ve developed a great new recipe that you can’t wait to try. But don’t look before you leap. 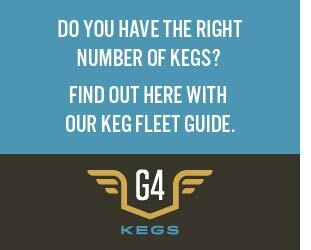 Before you begin a barrel-aging program, consider the following questions. • Where do your barrels come from? Are they from a trustworthy source? How quickly will you be able to obtain the barrels after the wine or spirits are emptied from them? • How will you transport them to the brewery? Will you need any additional equipment or vehicles to enable the transport? Do you have the staff necessary to successfully transport the barrels? • Is your staff trained how to lift and transport barrels? Do you need to do anything additional to try to prevent worker injury during the transport process? • What sorts of spirits did the barrels hold? Do you need to rinse or otherwise treat them before pouring beer inside? • What is your plan for storing barrels when they are full? When they are empty? Do you have enough space, or will you need to expand your brewery’s footprint to store the barrels? • If you are in an area prone to certain types of natural disasters—such as earthquake or flood—do you need to incorporate any bracing to the racking system, or ensure that the barrels are raised above ground level? • How often do you plan to use the barrels? How will you get rid of unwanted barrels after your brewery can no longer use them? • What will happen if a barrel containing mold or some other contaminant spoils a batch of beer? Do you have the spoilage and contamination coverage necessary to help you recoup the costs of your ingredients and the loss of the profits you would have made? • If an incident (a brewery fire, for instance) damages or destroys your barrels, will your brewery insurance package protect you? Will it protect the racking system? 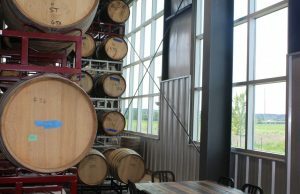 • Do you need to increase your commercial property coverage to include the value of the barrels and the racking system? • Barrel-aged beers can have a very high ABV. Is your liquor liability coverage sufficient to protect your business, if a customer has drunk some of your beer and thereafter is involved in some sort of incident? 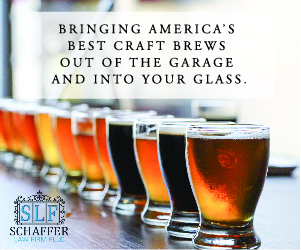 Remember that a liquor liability claim is one of the most severe a craft brewery can face. “A barrel-aging program can give a brewery a powerful boost, expanding its beer lineup in exciting, consumer-friendly ways,” says Beall, who works with craft breweries across the country, from start-up microbreweries to regional craft breweries with multi-state distribution.